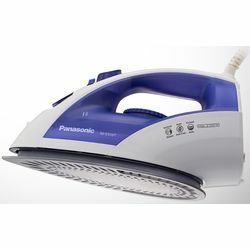 Panasonic Steam Iron NI-E510TDSM is your perfect partner in removing those wrinkles you hate with ease. It is equipped with a water tank that has the capacity 200 ml water. It is stocked up with titan sole plate which make it robust. It comes with 1 year warranty. Panasonic Steam Iron NI-E510TDSM is your perfect partner in removing those wrinkles you hate with ease. It is equipped with a water tank that has the capacity 200 ml water. It is stocked up with titan sole plate which make it robust.It comes with 1 year warranty.